Montego Bay Highlight Tour from Negril hotels is Jamaica’s most diverse tourist experience, journey to the famous Margaritaville, hailed as the place to party on Montego Bay’s “Hip Strip” Margaritaville is perfect for anyone looking for exciting entertainment, a lively, fun atmosphere, delicious food and concoctions, jam to the laid back sounds of Jimmy Buffett while sunbathing on the seaside pier. 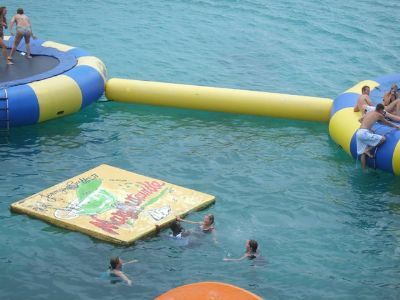 A popular attraction with both adults and children are the 120ft water slide, which winds its way from the rooftop terrace into the warm Caribbean sea, two giant water trampolines connected by a log cross or the floating deck anchored offshore. Visit the famous Richmond Hill Hotel and Restaurant overlooking the picturesque city of Montego Bay, there you can take photos that will last a life time. If you want to stop at one of our local shops in town where you can shop like a Jamaican and walk the streets of our diverse Montego Bay.